Us: Did you base the Isolation war on past wars in history? Dan: It's not based on any specific war, no, but I did draw a lot of inspiration from some of the specific city-based battles of the 20th century, particularly World War 2 and Vietnam. I liked the idea that the technology of warfare had progressed to such an amazing degree that the old had become new again--that our tech and their tech were so powerful, and so evenly matched, that they kind of canceled each other out and left us with an old-school attrition war between soldiers on the ground pulling triggers. Us: Is the world that Kira is currently living in now something that you have in mind of an event with similar circumstances in the ‘real’ world after an apocalypse? Dan: Kira's apocalypse was very specific: because it was a plague, it hit the world's people without hurting any of those people's stuff, and it did it so fast that we didn't really have time to destroy our own stuff on our way out the door. Most of the apocalypses we could realistically face would cause far, far more collateral damage, and leave our world in a much bigger mess. Us: Do you think that Kira can be compared to other heroines such as Katniss from the Hunger Games or Tris from Divergent? Us: Was it hard for you to write the part when Kira was examining Samm, which were full of scientific explanations? Dan: That was of my favorite parts to write! 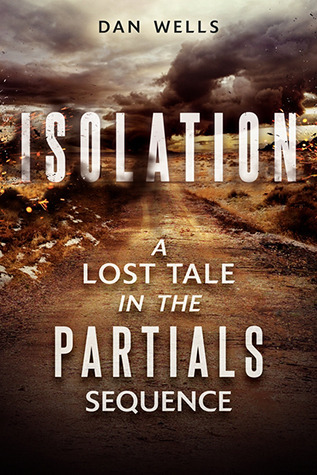 I loved digging into the details of Partial biology, and especially loved finding ways to blend it with the story. After all, what's the point of science fiction without science? Us: What was your first major inspiration for Partials? Dan: There were two, and they were both variations on the central theme of "Dan is inspired by other fiction and wants to put his own stamp on it." First, I had just finished watching Battlestar: Galactica, and loved it, but there were a lot of little details that bugged me. I thought "I could do that a different way, and it would be awesome!" And then I thought, "I'm a writer, what am I waiting for? I should just do it!" 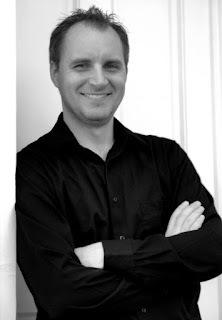 The other big inspiration for the book were my daughters: I wanted to write something for them, something with a strong female lead, as smart and as capable as Hermione but who didn't have to play second fiddle to Harry Potter. Combine those two ideas together, and you get Partials. Us: Did the story change after the original planning of this book? Dan: Holy crap yes. The book was intended to focus almost exclusively on Kira's search for a cure, and to end when she brought one back, but meanwhile, as I wrote it, the Senate kept coming up with better and better ideas of their own about how to save the world in a completely different way--after all, that was kind of their job, and they weren't about to just sit back and let the world fall apart. So they devised the Hope Act, and suddenly there was a massive conflict in East Meadow, and it kept escalating and getting bigger, and by the time we got to the third draft Kira's triumphant return with a cure was practically an armed invasion into hostile territory. It's a far better book than the one I intended, but it was a wild ride getting there. 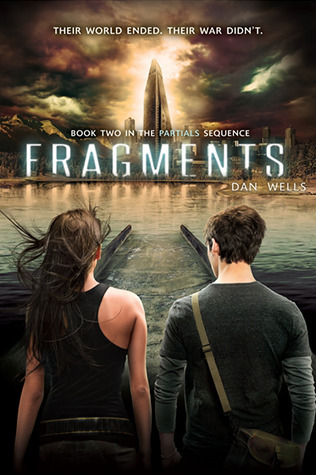 Dan: Fragments gives some very interesting hints about that, but of course you've already read that. For the rest of the audience, let me think...what can I say that will be awesome, but won't give it all away? How about this maddening hint: if you've read all the books and supplemental materials thus far, you already know what kind of Partial she is, you just don't know that you know it. Us: Which character was the hardest to write or describe about in the story? Dan: In Partials or Fragments? The hardest in Partials was Samm--I actually had to go back through and rewrite almost every line of dialogue he had to make him less human. Partials think and perceive and communicate in a completely different way than humans, not just emotionally but physically, and getting that right was pretty hard. Similarly, the hardest character to get right in Fragments was Heron, because her motivations are a mystery, and I needed to walk a very careful balance. 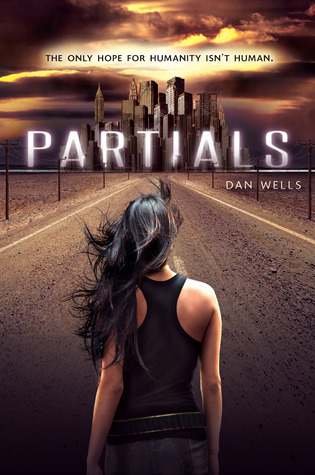 Us: Will there ever or might be a movie on Partials? If so, who would you want Kira and Samm to be played by? Dan: Man, I sure hope so. I'm horrible at the casting game, though, mostly because nobody I can think of is young enough. For Kira I'd probably pick a teenage Freida Pinto, and for Samm...a teenage Ben Foster? Us: If you could be any character in Partials, who would it be? And, why? Dan: After much, MUCH soul searching, I think maybe Heron. She doesn't take crap from anybody, and always does her own thing, and in a world full of that much crap, personal freedom might be one of the only good things left. I definitely wouldn't make the same choices Heron does, but in terms of ability and personality, yeah. I'd be Heron. I still need to check out these books! That is awesome that you got an author interview. Very interesting and some really good questions. I really enjoyed your blog and I'm glad I stumbled upon it. I am now a New Follower! Check out my blog if you get the chance, thanks!